Ag Secretary Perdue: “Donald Trump Will Protect American Farmers from China’s Trade Retaliation"
Hatching Hope will work directly with women smallholder farmers, initially in India, Mexico and Kenya. The program helps farmers not only feed their families but also become part of the solution to bridging the global food and nutrition security gap, while boosting local economies and providing nutrition education. Today, 114 House members led by Reps. Walorski (R-Ind. ), Kind (D-Wis.), Foxx (R-N.C.) and Craig (D-Minn.) sent a letter to U.S. Trade Representative Robert Lighthizer in support of keeping agricultural products as a key negotiating objective in any proposed trade agreement with the European Union (EU). The European Commission has specifically excluded agricultural products in draft negotiations and Commission officials continually state their unwillingness to include agriculture in the negotiation process. The report "Food & Agriculture Technology and Products Market by Industry (Animal, Agriculture, Cold Chain, Food & Beverage, and Cannabis), and Region (North America, Europe, Asia Pacific, Rest of the World) - Global Forecast to 2023", published by MarketsandMarkets™. The global food & agriculture technology and products market size is projected to grow from USD 494.9 billion in 2018 to USD 729.5 billion by 2023, at a CAGR of 8.1% during the forecast period. The importance of Japan as a trading partner for U.S. agriculture was the focus of a Feb. 22 panel discussion at the USDA Agricultural Outlook Forum in Arlington, Virginia. U.S. Meat Export Federation (USMEF) Economist Erin Borror explained that Japan is the leading value destination for both U.S. beef and U.S. pork, with 2018 exports expected to reach $2.1 billion and $1.65 billion, respectively, when year-end data is available. But Borror also cautioned that the competitive terrain in Japan has gotten steeper for U.S. red meat due to Japan’s preferential trade agreements with Australia, the European Union, Canada, New Zealand, Mexico and Chile, and this situation will worsen unless the United States secures similar access terms with Japan. Smithfield Foods, Inc. is pleased to announce that it has successfully engaged 80 percent of its grain supply chain, which is used to feed the company’s hogs, in farming practices that are both sustainable and reduce the cost of production for grain farmers. This exceeded the company’s original goal of 75 percent. In 2018, Smithfield purchased grain from producers who use efficient fertilizer and soil health methods across approximately 560,000 acres of land. Grain production is the first step in the vertically integrated company’s supply chain, making this accomplishment one of the key ways Smithfield is working toward its ambitious goal to reduce greenhouse gas (GHG) emissions 25 percent by 2025 throughout its entire supply chain – the first commitment of its kind from a protein company. U.S. Secretary of Agriculture Sonny Perdue today announced that the U.S. Department of Agriculture (USDA) has awarded $200 million to 57 organizations through the Agricultural Trade Promotion Program (ATP) to help U.S. farmers and ranchers identify and access new export markets. The ATP is one of three USDA programs created to mitigate the effects of unjustified trade retaliation against U.S. farmers and exporters. USDA’s Foreign Agricultural Service (FAS) accepted ATP applications between September 4 and November 2 – totaling nearly $600 million – from U.S. trade associations, cooperatives, and other industry-affiliated organizations. USDA has released a list of the ATP funding recipients. In a nod to its open-first technology principle to help address the world’s most significant food challenges, Cargill is investing its own digital engineering to aid the success and adoption of Hyperledger Grid. The latest project in Hyperledger’s portfolio of open-source frameworks and tools, Hyperledger Grid is created to accelerate development of blockchain and other digital solutions for the global food and agriculture supply chains. 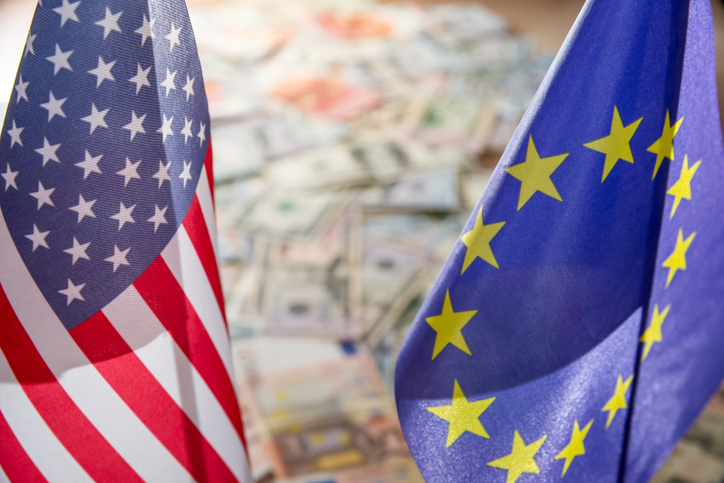 The Office of the U.S. Trade Representative (USTR) recently published a summary of negotiating objectives for U.S.-European Union (EU) trade talks. The Trump Administration last year notified Congress of its intention to negotiate a trade agreement with the EU and solicited public comments to inform its priorities. The U.S.’s top objective is to improve its trade balance and reduce its trade deficit with the E.U., which totaled more than $151 million in 2017. Cargill renewed its long standing commitment to Pakistan by announcing plans to invest more than US$200 million in the next three-to-five years. The announcement was made in the meeting when Cargill’s global executive team, led by Marcel Smits, head of Global Strategy and Chairman, Cargill Asia Pacific region, and Gert-Jan van den Akker, president, Cargill Agricultural Supply Chain, met with the Honorable Prime Minister of Pakistan, Mr. Imran Khan and other senior government officials to discuss the company’s future investment plans. Tyson Foods, Inc. (NYSE:TSN) and Environmental Defense Fund (EDF) today announced a new partnership to develop and deploy initiatives that support Tyson’s sustainability strategy and help meet increasing consumer demand for more sustainably grown food. Young people are living up to the “Generation Yum” label coined by author Eve Turow with their connection to the people, places and practices that raise our food—according to new research from Cargill. “This is a great day for our farmers, ranchers, foresters, and producers, as President Trump’s signature on this bill is a Christmas present to American agriculture. Farmers take financial risks every year as a matter of doing business, so having a Farm Bill in place gives them peace of mind to make their decisions for the future. Since early talks on this Farm Bill began back in 2017, I’ve always believed it would be more evolutionary, rather than revolutionary, and that has borne out to be true. COFCO International Ltd (“COFCO International”) is partnering with Archer Daniels Midland Company (NYSE: ADM) (“ADM”), Bunge Limited (NYSE: BG) (“Bunge”), Cargill Incorporated (“Cargill”), and Louis Dreyfus Company (“LDC”) to standardize data and digitize global agricultural shipping transactions. Together, the companies are looking to increase transparency and efficiency for customers through digital technologies, such as blockchain and artificial intelligence. “The 2018 Farm Bill represents an unprecedented investment in animal health. The health of the turkey industry depends upon the health of our flocks. The National Turkey Federation applauds passage of the Farm Bill and the inclusion of key provisions to help make certain animal health is a priority and that there is a coordinated effort in place to address any threats. The creation of the National Animal Disease Preparedness and Response Program, along with mandatory funding, will provide the tools and resources animal agriculture needs to help prevent, identify and respond to disease outbreaks. The National Pork Producers Council praised Senate and House lawmakers for today approving the 2018 Farm Bill, which includes important mandatory funding for animal disease prevention and preparedness efforts. President Trump is expected to sign the legislation into law in the coming days. U.S. Secretary of Agriculture Sonny Perdue today hailed the passage of the 2019 Farm Bill. The House of Representatives approved the conference report on the bill this afternoon, following the Senate’s passage yesterday. Smithfield Foods, Inc. is investing nearly $45 million and adding 70 new jobs to its Sioux Falls, South Dakota, operations. The investment includes renovating a high-speed bacon line, a ground seasoned pork operation, and the distribution center, as well as the rebuilding of a facility that houses more than 8,000 hogs. This investment and expansion will help Smithfield meet the increasing domestic demand for bacon and international demand for ground seasoned pork, a growing category in export markets. The following statement regarding the House and Senate Ag Leaders’ announced “agreement in principle” on the 2018 Farm Bill conference report may be attributed to American Farm Bureau Federation President Zippy Duvall. "The 2018 farm bill emerging from the conference committee is good news for farmers amid a prolonged downturn in the agricultural economy. Chairmen Roberts and Conaway and Ranking Members Stabenow and Peterson made the bill a priority for this Congress, and all Americans—farmers and consumers—are better off for it. Rome - Global agricultural food commodity prices fell in September due to growing inventories of key staples. The FAO Food Price Index declined 1.4 percent from August and is now 7.4 percent below its level during September 2017. The FAO Cereal Price Index dropped 2.8 percent, led by maize as expectations of a very large crop in the United States of America pushed export quotations down. International prices of rice and wheat also fell during the month, the latter due primarily to ongoing strong sales and shipments from the Russian Federation. Kentucky Commissioner of Agriculture Ryan Quarles: “Excited to hear about the new trade deal with Canada and Mexico. Our producers need the certainty that comes from trade. Looking forward to getting the full details of #USMCA in the coming days #KyAg365." The United States and Mexico agreed on Monday to a sweeping trade deal that pressures Canada to accept new terms on autos trade, dispute settlement and agriculture to keep the trilateral North American Free Trade Agreement (NAFTA). U.S. Trade Representative Robert Lighthizer said the White House was ready to notify the U.S. Congress by Friday of President Donald Trump’s intent to sign the bilateral document, but that it was open to Canada joining the pact. The 24-year-old NAFTA is a trilateral deal between the United States, Canada and Mexico that underpins $1.2 trillion in North American Trade. In light of the steep, ongoing downturn in the farm economy, growing farm debt and lost access in some of farmers’ and ranchers’ biggest international markets, on-time completion of the farm bill is a must, according to the American Farm Bureau Federation. “The risk management programs in the farm bill help farmers deal with the shifting winds of agricultural markets and help our farmers compete against heavily subsidized commodities produced in foreign markets,” AFBF President Zippy Duvall wrote in a letter to House and Senate agriculture leaders. Both chambers have appointed their farm bill conferees, so work on a final bill is expected to soon begin. A storm is brewing in farm country in the form of a dragging agricultural economy, a shaky outlook for our export markets and a dire ag labor shortage. Farmers and ranchers are used to dealing with tough and unpredictable weather, but that doesn’t mean they don’t hope and pray for a break in the clouds. Finally, the sun came through earlier this summer with the House and Senate passage of their respective farm bills. U.S. Secretary of Agriculture Sonny Perdue today issued the following statement regarding this week’s European Court of Justice (ECJ) ruling on newer mutagenesis methods, otherwise known as genome editing. “Government policies should encourage scientific innovation without creating unnecessary barriers or unjustifiably stigmatizing new technologies. Unfortunately, this week’s ECJ ruling is a setback in this regard in that it narrowly considers newer genome editing methods to be within the scope of the European Union’s regressive and outdated regulations governing genetically modified organisms. President Trump met with President Juncker in Washington D.C. on Wednesday, announcing the initiative to work together to ease trade barriers between the two global powerhouses. In a briefing in the Rose Garden, President Trump said, “The United States and the European Union together count for more than 830 million citizens and more than 50 percent of the global GDP. In other words, together, we’re more than 50 percent of trade. If we team up, we can make our planet a better, more secure, and more prosperous place. Already today, the United States and the European Union have a $1 trillion bilateral trade relationship — the largest economic relationship anywhere in the world. We want to further strengthen this trade relationship to the benefit of all American and European citizens. This is why we agreed today, first of all, to work together toward zero tariffs, zero non-tariff barriers, and zero subsidies on non-auto industrial goods.” The announcement was met with applause. U.S. Secretary of Agriculture Sonny Perdue today announced that the U.S. Department of Agriculture (USDA) will take several actions to assist farmers in response to trade damage from unjustified retaliation. President Trump directed Secretary Perdue to craft a short-term relief strategy to protect agricultural producers while the Administration works on free, fair, and reciprocal trade deals to open more markets in the long run to help American farmers compete globally. Specifically, USDA will authorize up to $12 billion in programs, which is in line with the estimated $11 billion impact of the unjustified retaliatory tariffs on U.S. agricultural goods. These programs will assist agricultural producers to meet the costs of disrupted markets. House Agriculture Committee Chairman Conaway and Ranking Member Peterson are to be commended for their strong statements in support of the motion. WASHINGTON, D.C., – Already bearing the brunt of global trade retaliation against American agriculture, U.S. pork producers now face additional headwinds in the form of a regulatory land grab by the U.S. Food and Drug Administration. 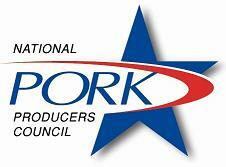 The National Pork Producers Council (NPPC) today called on the U.S. Department of Agriculture to assert its proper oversight of two emerging issues critical to the future of animal agriculture: laboratory-produced cultured protein and gene editing in livestock production. In 2011, a group of Chinese nationals dug up genetically engineered seeds from an Iowa corn field and planned to steal and send them back to China, so they could be reverse engineered. Those seeds, the result of years of research and millions of dollars of American investment, now stand as one of countless pieces of evidence in the case against China for intellectual property theft and unfair trade practices. American producers have benefited from the policies of the Trump administration, including historic tax reforms and reduced regulations. And farmers know that 20 cents of every dollar of their income relies on trade, which is why they are watching the situation with China closely. The simple truth is that when trading partners break the rules, there must be consequences.